Dessert is rare at our house – I am no baker! I’m a decent cook but sweets are just not my thing. 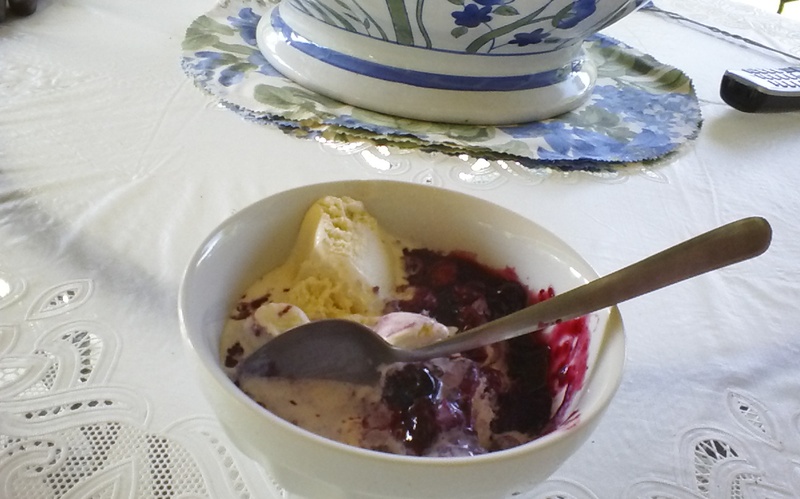 However, when our blueberries begin to come in I must make at least one ‘something’ with the first-picked batch! This year I opted for gluten-free cobbler. We eat gluten-free not because we have Celiac disease but because we think it’s better to avoid wheat products, it works for us. I am NOT dogmatic about it – if I came to your house and you made me a turkey sandwich on white bread I would eat it as long as you have chips! LOL! Let’s get on to recipe! Now, for the cakey part. In medium bowl, stir Bisquick, milk, sugar and melted butter until blended and a dough ball begins to form. ***I had to add water to my dough because it just wasn’t doing this dough thing – with enough added water it did. Bake about 15 minutes or until berry mixture is bubbly and the cakey part is a light brown. Place on a cooling rack and only slightly cool – serve warm with Haagen Daaz Vanilla Bean ice cream! At least that’s we had. 4 generous servings for 4 people or 3 too-big servings and 1 normal if serving two sweet-deprived over 60 people! This was just way too good! Put the teabags in the water and steep for several hours – this is COLD BREW tea, no boiling water necessary. Sweeten and add slices of lemon, if desired, serve over ice. Very good. 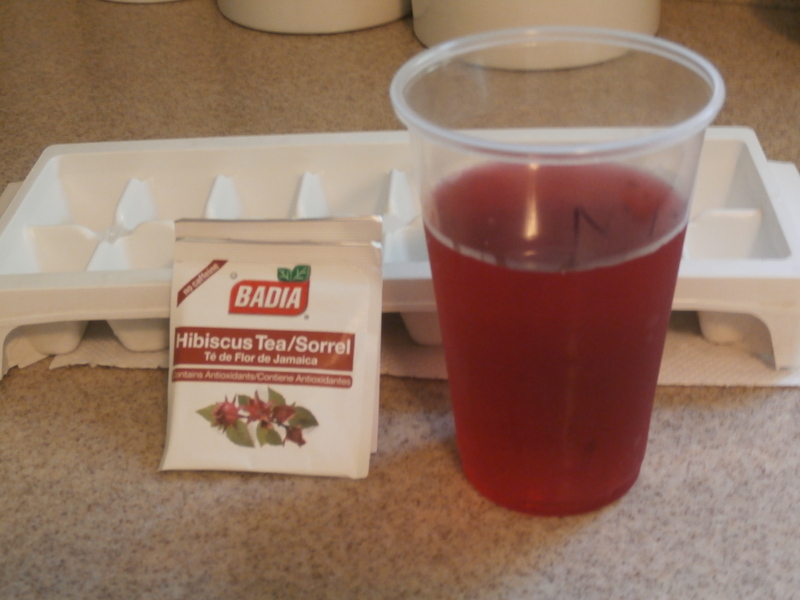 Read the benefits of Hibiscus here. I use teabags – but I may try the extract. 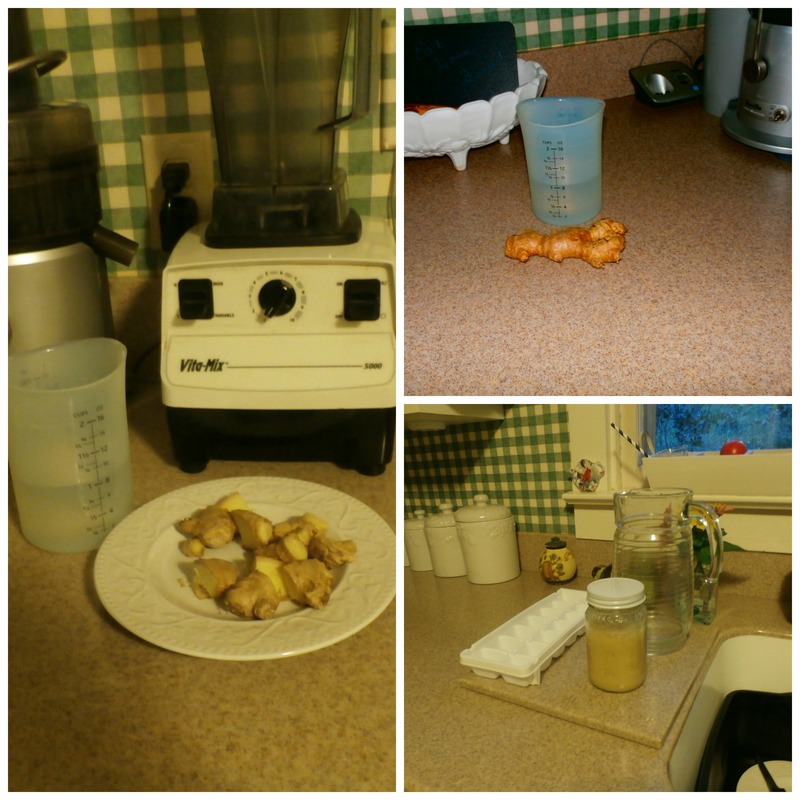 Cut up the ginger and put in a food processor or a high-powered blender (I use a Vita-Mix), with the water and process until completely liquified. Be sure to put through a mesh strainer to get all the yucky stuff out, then pour the concentrate in a glass jar. Refrigerate. When making the beverage, experiment with your taste buds and put an amount of ginger concentrate in a bottle or glass, add sweetener to your satisfaction, cold water, ice, stir, ENJOY! I love this stuff! Here you can read all the great benefits of GINGER! Real Ginger Ale – not everyone will like it but it’s good for you! K – we like them!!! 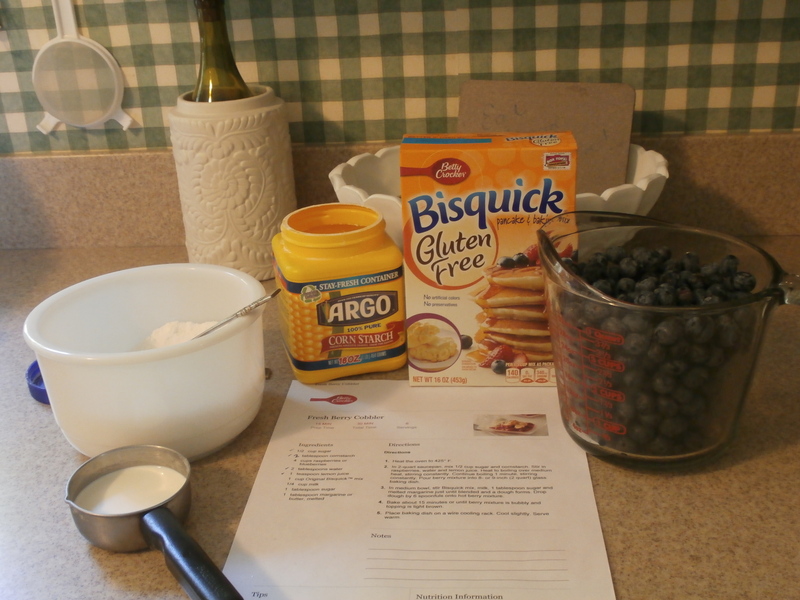 Thanks for the blueberry cobbler recipe. Sounds delicious! I unfortunately love sweets!!! 🙂 Have a blessed week! Just remember the ice cream, Mary!! !